How versatile are Euro Cylinder locks? The most popular means of locking today’s modern homes and commercial buildings is down the versatility of Euro Cylinder Locks. Their popularity is not only with locksmiths but door manufacturers as well. So, how versatile are Euro Cylinder Locks? The cylinder can be changed without altering the hardware, this is one of the main advantages of the locks’ versatility. This definitely makes them popular. By removing the cylinder, which only requires loosening a set screw, it will slide effortlessly from the door. The other big advantage of the Euro Cylinder Lock is that you can use the same key with different cylinders. This is very useful and advantageous for buildings that have multiple offices, as a master key system can be implemented. The master key system is a variation of the Euro Cylinder Lock. The system allows the lock to be opened with two or more different keys. Office buildings, hotels, storage units will all benefit from a versatile master key system, as it is perfect for use in commercial buildings. So, how does the master key system work. In an office block or multiple managed work space each tenant is given their own key that only unlocks their own door to their premises. This is called the change key. But the building manager, owner or caretaker has a second key. This is the master key and it gives the ability to the building manager or owner to open all of the office doors. 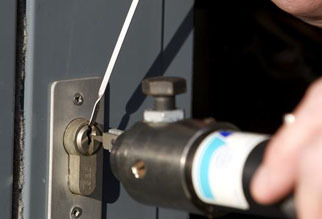 This is why the Euro Cylinder Lock is so popular with locksmiths and property owners alike. It is the versatility of the lock and its many uses. Ring Stephen direct on 01709 630027 if you are in the Rotherham area and want to find out how versatile Euro Cylinder Locks can be.